Year 5 and 6 children have just completed their run of seven performances, 3 Dress Rehearsals) of our schools' version of Joseph and the Amazing Technicolor Dreamcoat, thrilling the packed audiences with their confidence, talent and enthusiasm. Nearly 180 children filled the huge stage, spanning the length and half the width of our school hall. Despite illness and sickness, the children battled on, supporting each other and covering others' roles throughout the week and a half. A huge thank you must go to the great teamwork of parents who supported Mr Underwood and Mr Eggleton during the day constructing the base staging after which a small group continued to build the features required for this year's mammoth production, including sliding doors, a chariot, a prison, whilst the scenery was designed and painted. 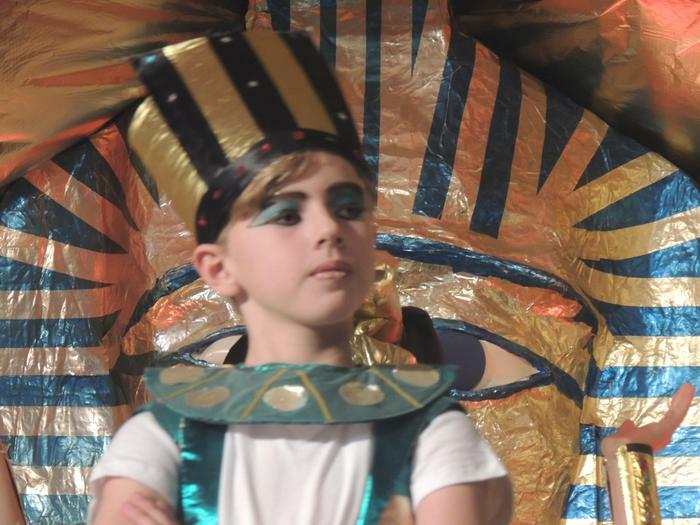 Props and head-dresses were created in grand style and with wonderful costumes added, the children had a great start to their performances on stage. Past parent, Mr John Tipping took individual photos of every child and group photographs for parents to buy and Chair of Governors, Mr Whittall, filmed the show to be professionally edited for parents to purchase, hopefully in time for Christmas. A special thank you to past pupil Laurie Deane, who left 2 years ago and now, enthused by his involvement with acting and theatre, has his own sound and lighting equipment and managed the music during the week. 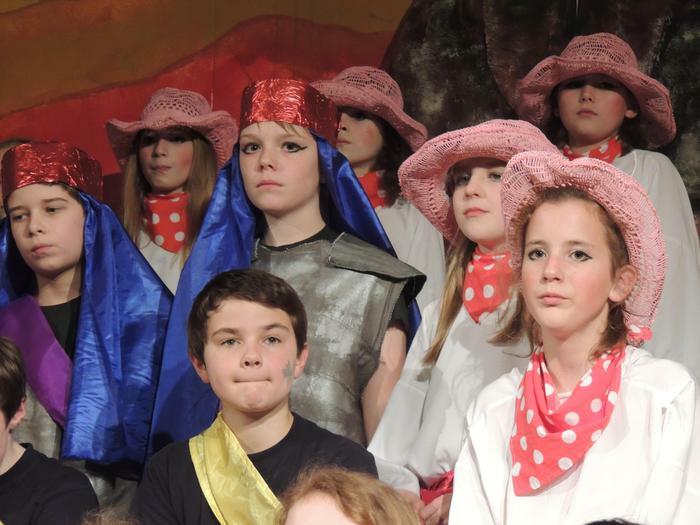 We like to think that our productions bring a little of the 'West End' to Chalfont St Peter and we wait to hear of past pupils who have been inspired to take their acting and singing further and even join a West End cast! We hear that two past pupils currently are either auditioning or performing in London currently - one was 'Joseph' in 2003 and the other a 'brother' in the same cast!